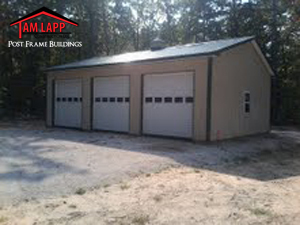 *12″ Eave & Gable Roof Overhangs. 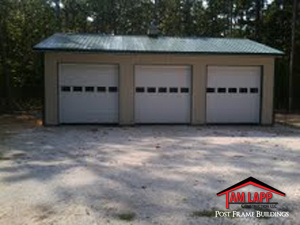 *(3) 10’W x 10’H Insulated Garage Doors with Glass. 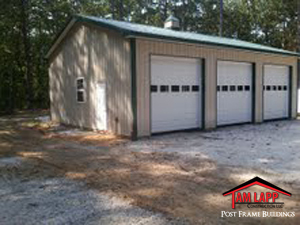 (2) 36″ x 48″ Windows.